The incident occurred this morning when the bus was on its way to the school in Radelsar from Chote Gaon and its driver lost control over the vehicle and it overturned, a police spokesperson said. 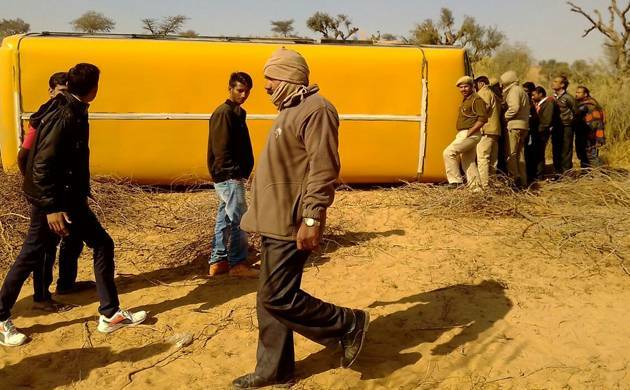 At least 25 children were injured when the school bus they were travelling in overturned in Rajasthan’s Churu district. The injured children were rushed to a local hospital from where three seriously injured were referred to Churu hospital while others were released after first-aid, he said. The children were students of Class I to VIII. A case of negligence has been registered against the bus driver, the spokesperson said.